In the court documents, the FBI says a source gave federal agents information on two brothers that may have been involved in the death of agent Martinez. There has been little information about what may have caused Martinez’s death. 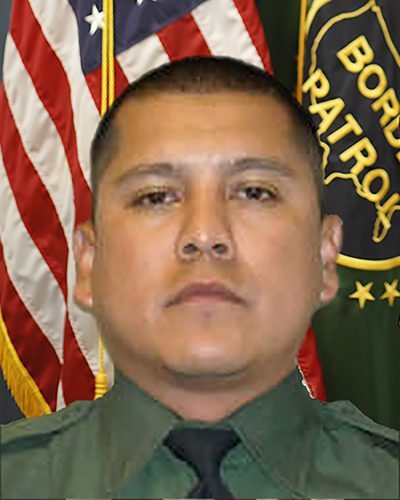 The 36-year-old border patrol agent was found in a culvert along the highway some 12 miles outside of Van Horn in late November. Martinez was taken to an El Paso hospital where he eventually died from injuries. His partner, who reportedly doesn’t remember what happened, was also injured. In one of the documents, FBI Special Agent Jeff Rosenquist says a source came forward with information on possible suspects. The informant told agents that a “coyote” — someone who smuggles people into the United States — told them a group that recently crossed talked about their “assault” on border patrol agents. The source later found out the identities of the suspects: Two brothers who recently crossed the Mexican border. One of the suspects has denied any role in the death of agent Martinez. He hasn’t been charged in the case. It remains uncertain if the FBI have interviewed the second suspect. Here’s the story the documents tell: A third brother and another passenger picked up one of the brothers in Presidio, Texas days after the alleged assault. The unnamed passenger told agents that the suspected “looked clean.” The trio intended to drive to Portales, New Mexico, but their vehicle broke down some 30 miles outside of the New Mexico town. Believing the vehicle may contain trace evidence, the FBI received a warrant for the vehicle, a silver 2004 Pontiac Grand Am. According to documents, investigators recovered red-stained fabric in the car, among other evidence. In an interview with federal agents, the suspect that was on his way to New Mexico, admitted to illegally re-entering the U.S., which he has been detained for. The FBI is offering a $50,000 reward for information in the case. That’s on top of a $20,000 offer by the state. The agency is also running digital billboards in four states along the southwest border asking for any information. This entry was posted in KRTS News, KXWT News and tagged Border Patrol. Bookmark the permalink.